CPR stands for cardiopulmonary resuscitation. If applied correctly in emergency situations, especially heart attack, CPR can save lives. It restores the flow of oxygenated blood to the heart, brain, and lungs. It also helps delay the death of tissue and prevents permanent damage of the brain due to lack of oxygenated blood. In the absence of CPR, death can occur within 6 minutes of heart attack. CPR increases the chances of survival. The American Heart Association states that if people are trained and certified to perform CPR, the chances of survival can double or event triple. CPR is both a personal and social responsibility. Every responsible citizen should complete training in CPR to be able to help one’s friend, colleague, neighbour, or even someone one doesn’t know in times of emergency. Cardiac arrest can happen at any time and at any place. It can happen at the workplace, in school, at the bus stop, at the shopping mall, and at your own home. A person who is trained in CPR has the capability to save someone’s life. CPR training gives you self confidence that you have the necessary skills to save a life and that you can actually save a life when the need for the same arises. During CPR training, you would be taught both theory and practical methods of identifying the emergency and how to act correctly. In many jobs and careers, it is mandatory to complete CPR training. These include jobs of lab technicians and personnel, paramedics, doctors, fire-fighters, flight attendants, day care service providers, school teachers, life guards, baby sitters, sports coach, nurses, and prison staff. If you are interested in making a career in any of the above mentioned professions, you would need to do a training and certification in CPR. The above jobs require individuals to complete CPR certification since they would be in charge of many people. Even if you are not interested in the above jobs and you are applying for a job that doesn’t require CPR certification and training, you can improve your career prospects by completing training in CPR. CPR certification would give you an edge over other applicants. Your prospective employers would see you as a responsible person who is armed with the correct knowledge of handling emergency situations. 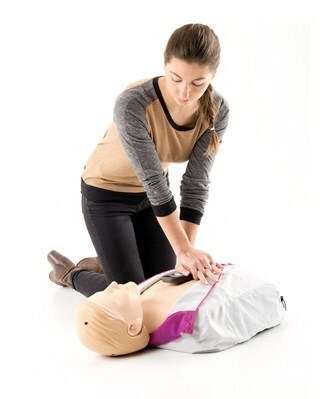 With CPR training, you can showcase your sense of responsibility to your prospective employers. It shows that you know what to do in times of emergency and you can act without any fear and inhibitions when it comes to saving the life of an individual. Are you certified in CPR? If not, look for CPR certification courses. Become a CPR certified professional and improve your career prospects.